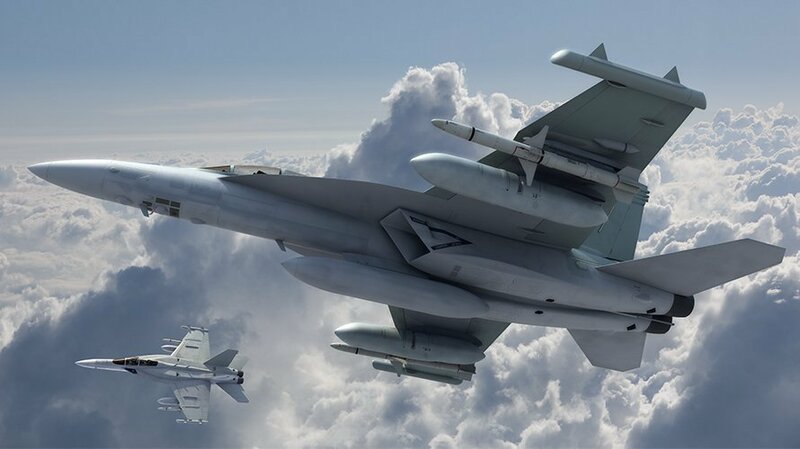 In any future conflict, electronic warfare (EW) is certain to feature prominently and Australia has an advanced capability in the RAAF’s Growler aircraft, which will improve even further with the rollout of Raytheon’s new jammer pod. Whether it is asymmetric warfare with insurgents or high end conflict with peer or near-peer adversaries, EW will absolutely be a bigger deal than in past conflicts, says Raytheon EW business lead Tom Quast. “Increasingly the electro-magnetic spectrum is where the fight is taking place,” he said. 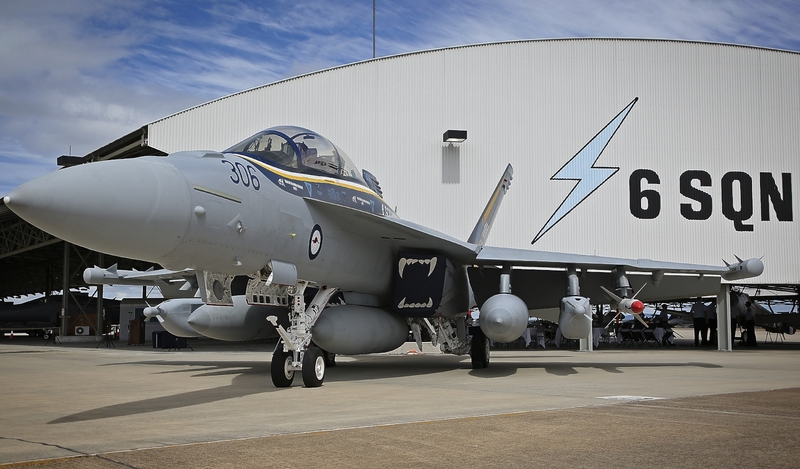 Australia’s fleet of 11 Super Hornet EA-18G Growler aircraft deliver an advanced EW capability, but it will substantially improve once the legacy ALQ-99 jammer pod is replaced. Although much updated, this pod was first fielded in the Vietnam War. The complete next-generation jammer capability will eventually comprises capabilities in three operating bands – the low, mid and high bands of the electro-magnetic spectrum. However, the mid-band is where most current threats reside. In 2014 Raytheon won the deal to develop this for the US Navy and its ALQ-249(V)1 will enter US and Australian service early next decade. “We take our lead from the Navy and they tell us threats are proliferating across a lot of bands. Right now the mid-band is what’s prioritised for development and delivery. But I also know the Navy is working on expanding capabilities to address those other regimes. It’s an ever evolving picture,” Mr Quast said. So important to the Australian Defence Force was this advanced capability that Australia contributed A$250 million towards development costs. In November 2017, RAAF chief Air Marshal Leo Davies announced the signing of a Memorandum of Understanding (MOU) between Australia and the US. Raytheon’s next-generation jammer will be showcased at the airshow, along with other Raytheon EW systems. The next generation jammer is a central element of Project Air 5439 Phase 6 – enhancing Growler Airborne Electronic Attack Capability. That program has a nominal cost of $5-6 billion and a timeframe of 2016-2035. It will ensure Australian Growlers maintain full commonality with US aircraft. “It’s a very powerful system and there are some real innovations in this next-gen jammer mid-band pod – high power which gives you long range operation but also the ability to prosecute multiple threats simultaneously,” Mr Quast said. Raytheon Australian Head of Campaigns Rod Equid said Growler came to Australia with the legacy jamming pod capability. “Next generation jammer is scheduled (for delivery) ultimately in parallel with deliveries to the US Navy. We really will be more state-of-the-art and that takes us to a place where we are very contemporary or better from a capability point of view,” he said. Along with the next-generation jammer, the RAAF’s Super Hornet fleet could also benefit from another program to update the Raytheon ALE-50 towed missile decoys. This is a last ditch defensive measure, released and towed behind the aircraft, providing a more appealing target for an approaching missile. Mr Quast said there was a real resurgence of interest in decoys. “The US Navy and Air Force is looking at recapitalisation of the decoy product line. That is fundamentally an end stage self-protect measure that we think is going to continue. It is a very inexpensive way to provide protection for frontline aircraft,” he said. Then there’s Raytheon’s MALD (miniature air-launched decoy), a 1.7-metre wingspan expendable missile, able to operate as both a decoy and a jammer of hostile radar systems. “As the threats evolve, the decoys will evolve as well,” he said. Any follow-up news on the 12th Growler report and the root cause of the engine fire resulting in its write-off? Another news request – any update on seventh KC-30A that was due to be delivered in December with VIP configuration? Still being fitted out in Europe. Was in the UK over Dec/Jan for painting.